When you’re growing your business, the thought of piecing together hardware, software and payments services from multiple vendors can be exhausting. Unfortunately, that’s the challenge many Australian business owners face. At Square, we believe that all business owners — big and small, online and offline — should have the tools to start, run and grow using one cohesive and fully integrated platform. Build with Square is a new set of new payment APIs which are now available to Australian sellers and developers, designed to empower offline businesses with payment solutions to service omni-channel needs. Our collection of APIs enable you to integrate your custom point of sale or e-commerce solutions seamlessly with Square for secure payment acceptance. Square API for point of sale enables any iOS or Android point-of-sale system to create customised payment processing with Square. Some businesses have highly specialised point-of-sale needs — whether it’s a hair salon with a detailed booking system, or a winery that needs to manage cellar door sales in conjunction with online and wholesale orders. By integrating with Square using our API for point of sale, these businesses are empowered to use Square’s beautifully designed and very affordable hardware (such as the Square Reader for contactless and chip) with third-party point-of-sale platforms or apps. They can accept all payments that come across the counter while enjoying the benefits of Square’s broader payment ecosystem including Card on File or recurring payments. Melbourne-based tech startup SwiftHero — whose app matches vetted tradespeople with those who need them — is first to integrate with Square’s new API for point of sale. Embracing Square’s API means tradespeople can now accept card payments right from the SwiftHero app using affordable and accessible hardware, while overcoming challenges of payments partnerships often experienced by startup companies. Square API for e-commerce enables sellers and developers to use Square to process online payments on their own fully developed and self-hosted website. With more customers heading online to shop, match prices and research services every day (Australian consumers spent over $21 billion online last year), it’s more important than ever for growing businesses to optimise their omnichannel presence. The E-commerce API enables sellers to seamlessly integrate their existing websites with Square to accept payments online, providing a powerful and fully integrated solution that helps grow both their online and offline businesses. We also make it easy to track all sales using Square Dashboard. If building a custom website sounds daunting, never fear: Square also integrates with BigCommerce, Weebly, Ecwid, WooCommerce, Wix and Magento, so you can use beautiful, pre-existing e-commerce shopfronts while still leveraging the benefits of Square’s online payment gateway. Selected partners also enable you to get a holistic view of all your offline and online sales on Square Dashboard. How much do Square’s APIs cost? 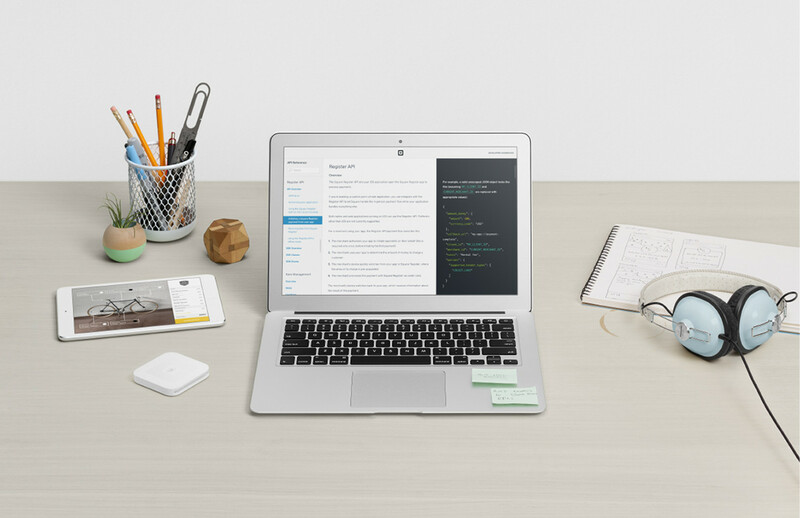 It’s free to integrate Square’s APIs into your platform. Payments accepted online using the Square API for e-commerce are charged at the flat rate of 2.2% per transaction for any Visa, MasterCard or American Express transaction. Card payments accepted in person using Square Reader via applications integrated with our API for point of sale are charged at 1.9% per tap, insert or swipe for any Visa, MasterCard or American Express transaction. There are no other hidden fees or lock-in contracts. We’re proud to empower businesses with tools, hardware and platforms to service their needs — online and off. No matter what you sell or how you sell it, Square has you covered. Learn more about Build with Square.